You can also check out this website which has some brilliant links and advertises posts in local schools. If you still need persuading please check this video with local secondary and Primary teachers AND Nottingham University Vice Chancellor Professor Sir David Greenaway. 1.It’s a great City There are good shopping facilities – including a John Lewis , House of Fraser and a huge number of independent shops in two large City Centre areas, the Victoria Centre and the Broadmarsh centre. People travel for miles to visit the shopping centres. 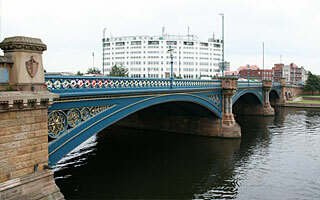 There are great sporting links, two football teams with history, Nottingham Forest and Notts County but also the Panthers Ice Hockey team and the International Cricket ground at Trent bridge. Not to mention Holme Pierrepont the home of many watersports. 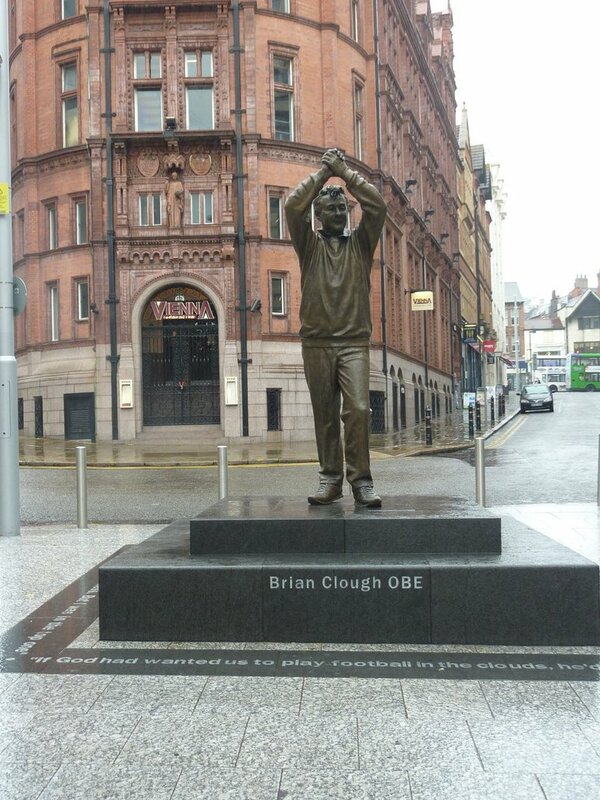 There are Cultural and Arts Centres, two theatres, the Nottingham Contemporary arts centre. 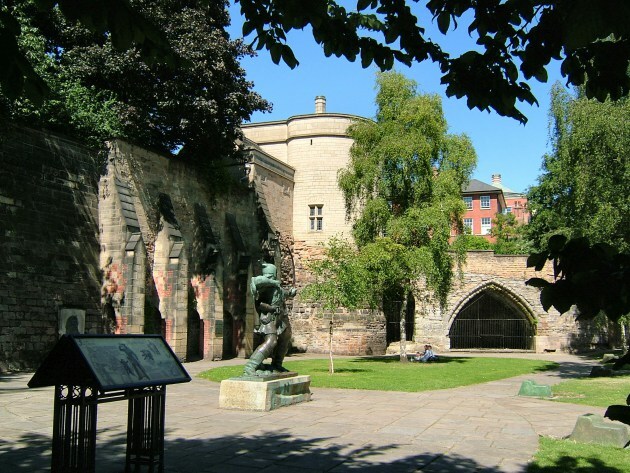 Like most Cities we have many historical links, not least with the oldest public house, underground caves, even a mansion we call Nottingham Castle, Byron’s home at Newstead Abbey etc. 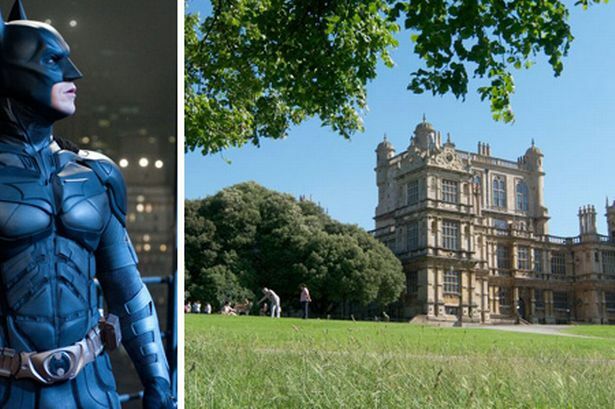 The City centre is a thriving place but we have places to escape to such as Clumber Park and Sherwood Forest and you might even see batman at Wollaton Hall, or at the least hit a festival there. I wont mention the clubs and bars though! If you can get out further afield we are on the edge of the Derbyshire Dales and National Park as well as Chatsworth house to the West or by going South into North Leicestershire countryside. There are many villages and market towns around the County and it’s not far to the likes of Lincoln and York. 2. Transport and housing. Nottingham is in a great spot in the UK being so central. Easy to get to the main M1 ( 3 major routs out of the City) or to the A1. The train station has recently had a massive upgrade and trains to London take about 1hr 45 minutes. The bus system locally is very good and we have a very efficient tram system too. East Midlands Airport is about 30 minutes drive away. Oh and a canal and a big river with cruise boats and rowing clubs. Housing is also available and reasonably priced because of the large student population. 3 We are actually very good at Education. Most young people know about the high reputation, in fact the world class reputation of the two Universities at Nottingham and Nottingham Trent. These organisations also host Education Departments and the National College for Teaching and Learning is based on the Jubilee Campus. So this is where many prospective teachers start their careers as PGCE Students but remember this also gives great opportunities to ongoing CPD for teachers and other Career opportunities. There are also significant teaching school and teaching school alliances. ( Like the LEAD Urban alliance and Transform). They are fairly new but they are all working on programmes to attract young people to work in schools and then support them whatever stage of career, from NQT, RQT, Middle Leaders, SLE’s etc You might benefit from a programme but in due course be contributing to the programmes. Then there are large FE Colleges, with more opportunities to move career into working with the post school sector. Check out NCN, and Castle College. 4. Schools Despite what you might think, or read or have heard, Nottingham schools are pretty good, some are outstanding, some are good and others are getting to good. Check their web sites and if you are thinking of a job here then go and visit.The staff are very committed to improving the lives of local children and working in a City or Urban environment isn’t without its challenges and rewards. There are 16 different types of Secondary schools mostly academies, some sponsored some are MATs. There are 6 special schools and these have a considerable reputation for their work for SEND children. There are 7 Independent schools some are small and the two main City schools are the boys and girls high schools (although the boys goes mixed this September). there are about 80 Primary schools. Within each of those schools is a massive amount of wisdom and experience. In my school for example the leadership team have worked at the school over 120 years between them and longer if we add in time spent in City schools. Nearly all the City secondaries and many of the primaries are in very new buildings as they were part of the labour governments BSF programme (Building schools for the future). the City Council has always had a big commitment to Education and whilst not really controlling academies, they have a target to have every child in a good or outstanding school. they also work hard with the local business community to ensure jobs and apprenticeships and a clear progression route after school. 5. Progression. Hey we do this well, for teachers and for pupils. We have a very low NEET ( not in Education Employment or Training) figures in the UK. So something is working well, and there is commitment to helping young people follow their dreams into jobs, apprenticeships, or further their education. We laso have a lot of clver and successful initiatives to help widen participation locally from Nottingham University and NTU which involves our pupils but also families. We also see the journey being made by many professionals in our schools, so we might have someone volunteer for a project as an older pupils who goes off to University and then returns and does some teaching assistant work, and eventually get a formal training as a TA or maybe as a teacher. Once bitten by the “working in Nottingham City schools” bug it can be hard to escape. 6 Other services There are other agencies linked to schools of course and in Nottingham they work closely together, again teachers can move their careers into these other areas. this includes social services, children’s’ services, the local NHS. Also Nottingham Futures ( careers service) and their initiatives such as Aspire. Then there are organisations which pop up in any City to help with Outdoor Education, to help with Music and Sport as well as Duke of Edinburgh, Youth Parliament and so on. So our children get lots and lots of opportunities. There are also many community links, these can work very well in City areas but be less obvious than in rural ones. Local Churches and mosques and other religious groups support education. The voluntary sector is huge and not only do they support schools they also offer opportunities for our young people to serve in their work helping in everything from foodbanks, to the homeless. Jane Torvill and Christopher Dean – Ice dancers – oh yes we have a great ice rink! COULD it be you on here?